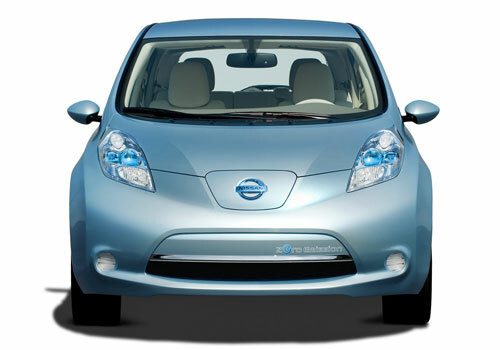 The Japanese auto giant Nissan has launched their new generation model of their popular electric car – Nissan Leaf. The new Leaf electric car now covers more distance in a single charge and has a new feature of telling the driver the level of charge remaining in the car. Despite these changes, the company has reduced the price of the new Leaf model. These changes have been incorporated after taking into consideration the feedback taken from the existing owners of the car. At present the biggest problem for the electric car owners is running out of the battery charge while driving. Also, the infrastructure for electric cars is very poor, because of which the number of recharge stations are very few. With an improved charging system, the new Nissan Leaf now can run 228 kilometers (142 miles) in a single charge in comparison to the earlier model’s 200 kilometers (124 miles). But if you use air conditioning, the total distance covered in a single charge will be a bit lesser. While the battery system has been streamlined, the overall vehicle has been reduced. With high government subsidies for the green cars, the Nissan Leaf is available at 2.5 million yen ($31,000) in its domestic market Japan. Earlier cheapest model was available at 3 million yen ($37,000). Currently, Nissan Leaf is the most popular electric car in the world and accounts for over 50 percent of the total sales of the electric cars in the world. So far, since its launch in year 2010, the company has managed to sell a total of 43000 units of this car globally, out of which around 50 percent are sold in the Japanese market. In the US, the company has monthly sales of around 1500 units. 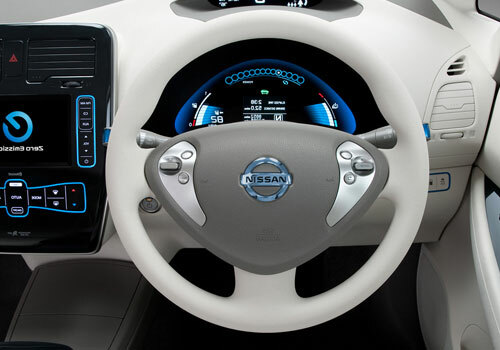 Nissan Leaf interior is awesome but price tag is high. Nisan Leap rice in India for electric model will be similar to a luxury car. Although features and specs are impressive but price seems high.